Simple, with visual presentation has made the Google SEO guide book a must have for all type of webmasters, because it tells the perfect Google way to get indexed on their search engine. Google had released this starter guide in 40 languages on July 22, 2009, and recently they added ten more languages: Spanish, French, German, Russian, Turkish, Finnish, Swedish, Hungarian, Traditional Chinese and Simplified Chinese. Apart from new language addition, Google has also updated its content as per new SEO guideline. 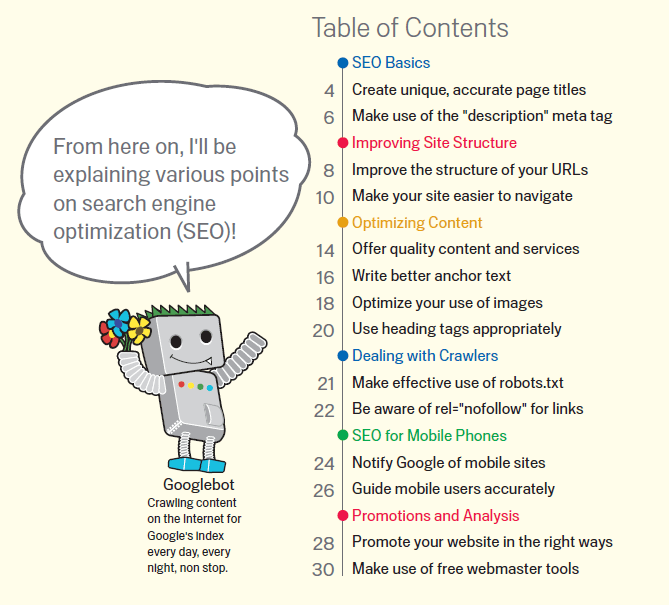 So, read on this free SEO guide baked by Google and enrich your brain with search engine stuffs.